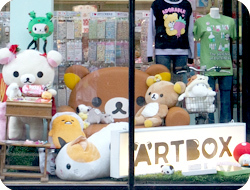 Our staff are waiting to welcome you to London’s little piece of kawaii paradise! We’re very central and convenient to get to; just check out the instructions below on how to get there. 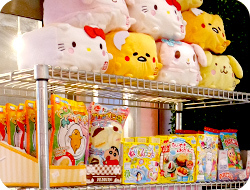 Be sure to visit the newly opened Tofu Cute concession in store! From Covent Garden: ARTBOX is located just a 2 minute walk down Neal Street and right onto Shelton Street (pictured above). 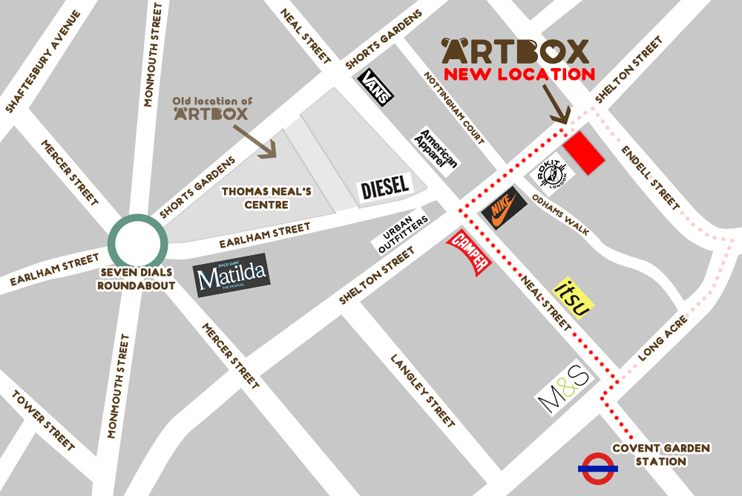 From Leicester Square: ARTBOX is a 6 minute walk. After exiting the station head down Cranbourn Street with Pret a Manger on your right hand side. Go straight across onto Long Acre past Five Guys, then after passing Covent Garden station, take a left down Neal Street. Finally, take the first right onto Shelton Street and you’re there! After disembarking at Victoria Coach Station, catch the tube on the Victoria line and ride one stop to Green Park. Switch to the Piccadilly line and ride 3 stops to Covent Garden. Follow walking instructions pictured above. From Victoria: Catch the tube on the Victoria line and ride one stop to Green Park. Switch to the Piccadilly line and ride 3 stops to Covent Garden. Follow walking instructions pictured above. From Waterloo: Catch the tube on the Northern line and ride 3 stops to Leicester Square. It is a 6 minute walk from here or you can switch to the Piccadilly line and ride one stop to Covent Garden for a 3 minute walk. The nearest bus stop is Cambridge Circus Stop B. This is serviced by buses 14, 19, N5, N19, N20 and N41, plus the 38 and N38 from Victoria Coach Station. After disembarking from here on Shaftesbury Avenue, head left and take the first left down Earlham Street. At the Seven Dials Roundabout (pictured above) continue straight across, then onto Shelton Street with Nike on your right hand side.